CCI, based in LaPorte, TX and Lafayette, LA, is a leading provider of turn-key pipeline inspection and pipeline integrity services for oil & gas pipeline systems. We provide X-Ray pipeline inspection services as well as conventional pipeline radiography. Inspection of full pipeline systems and related entities, including process plants, pump and compressor stations terminals and tanks. Inspection of gas gathering systems and related facilities. Inspection of public utility distribution systems. Full service pipeline fabrication inspection including Pipeline Crawlers, Digital Solutions and Conventional Radiographic Inspection. 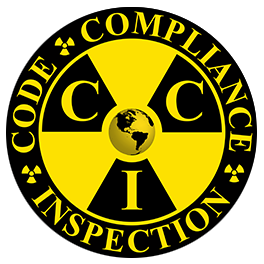 CCI's management team has over 75 years of collective pipeline inspection experience. Our service is based on a mutually beneficial three party relationship between CCI, the inspector, and our client. Through decades of building long relationships with highly experienced field technical personnel, we are able to place perfectly qualified individuals into field positions to provide our clients with exemplary service. We pride ourselves in treating the inspector with integrity, paying a competitive wage on time and correctly, and offering additional benefits to the inspector. Our growth has been and continues to be almost entirely driven by repeat business from satisfied clients.